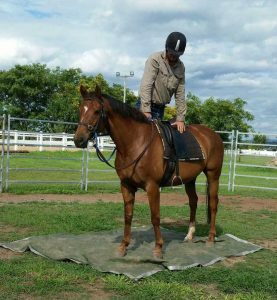 Maria had been feeding her Warmblood dressage mare, Sassy, mixtures of dried herbs for some time to try to reduce her nervousness and over-reactivity when going out to lessons or competitions. She had also given her two courses of veterinary drug treatments for gastric ulcers. When this didn’t work Maria consulted me for help, and I put Sassy on a customised VF Natural Diet and a course of nervous and gut balancing herbs. Over this time, Maria reports that Sassy’s behaviour has improved dramatically, her appetite is no longer picky, and she has put on condition and muscle tone, and she copes well with going out. Sassy was also somewhat dependent on her paddock mate, so we worked on that with flower essences for separation anxiety and she now couldn’t care less, when she leaves him. Although she isn’t keen on him leaving her, but her reactions are hugely reduced. It is interesting to note the correlation between nervous behaviour and gut health, which is something I have always worked on with my treatments. 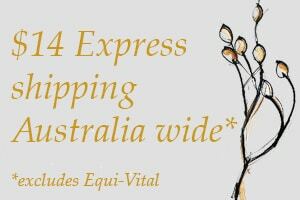 Every horse is a little different so that is the beauty of holistic prescriptions, they cater to the individual needs. 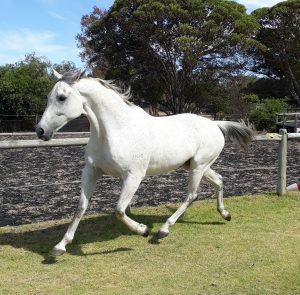 Kostya is a Dutch Warmblood X Thoroughbred 14 year old grey gelding owned by Sue Bradley from WA. 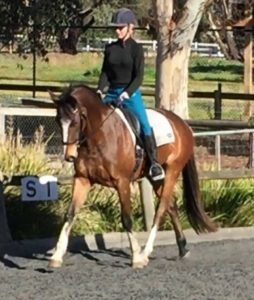 They are working at medium level dressage and Sue was wanting to find a solution to Kostya’s severe separation anxiety and to prevent poor appetite and weight loss due to these episodes. After two months on his VF Natural Diet and prescribed herbal remedies, Sue tells me that she is very pleased with his new confident attitude. He cleans up all his feed, and his condition and muscle tone is perfect. She also says he is showing a silver shine and some dapples. Go the Greys! Kostya will be maintained on his diet when he completes his course of herbal prescriptions this month. That is the plan of treating holistically, that the horse will maintain its newfound equilibrium and homeostasis. 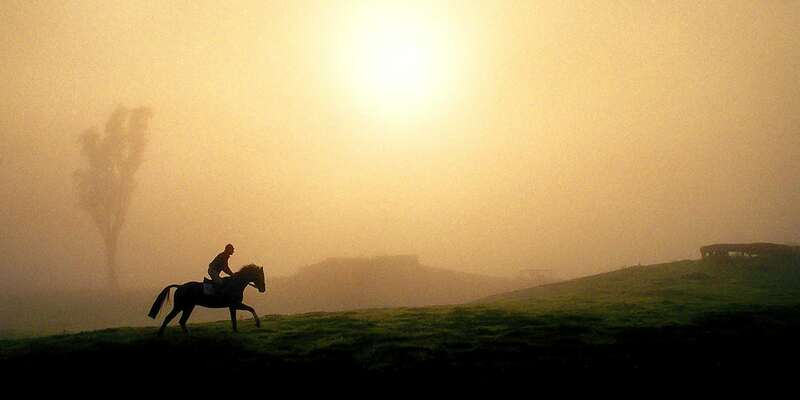 I don’t get to treat many racehorses, due to the draconian racing rules against herbs either as feed or medicine, so this success story has to remain anonymous. 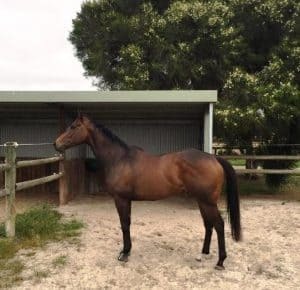 This lucky racehorse has been trained by his owner trainer and ridden track work by his wife and lives at home with them and has a paddock and a shelter. 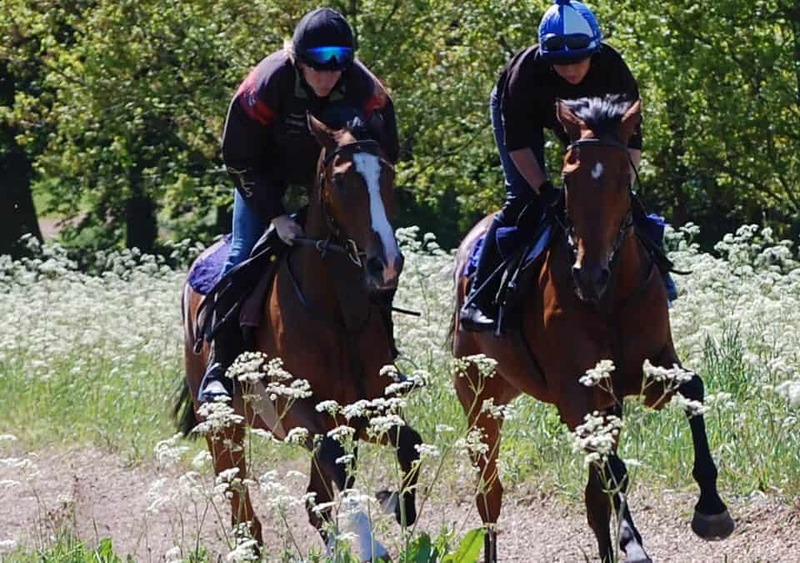 The owner trainer has been involved with racing most of his life, his father had racehorses and he has worked in a lot of racing stables over the last 15 years. The mix was always withheld 72 hours before racing despite the fact that there were no herbs in it which could have produced a positive swab. “We were thrilled that he finally got some good minor placings in the city, then a win at the picnics, which was his final race. He is only 6 years old so his career will now be dressage and showing. He has already had quite a lot of arena work, so it will be an easy transition for him. “What we are really pleased with is the huge improvement in his hooves, we could never keep shoes on him for any time at all, and our farrier has remarked on how strong they are now, and we put this down to his VF Natural Diet. I firmly believe that if you feed the horses right they are healthy. And this horse is a good example of that, his recovery after races is phenomenal, he always eats up straight after racing, and his muscle tone is super and his respiratory system is in top order. So the holistic balancing for this horse was to put him into the best state of health he could possibly be in to perform at his optimum. 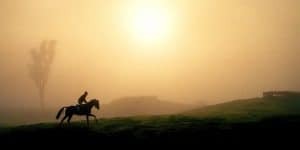 It didn’t make him run any faster so it can’t be said that there was any artificial enhancement involved, quite simply he was a healthy, relaxed horse who was able to perform at his own personal best. This brings up a rather interesting philosophical question about the difference between using natural feeds and herbs and synthetic feeds and drugs. Shop the full range of VF products HERE.